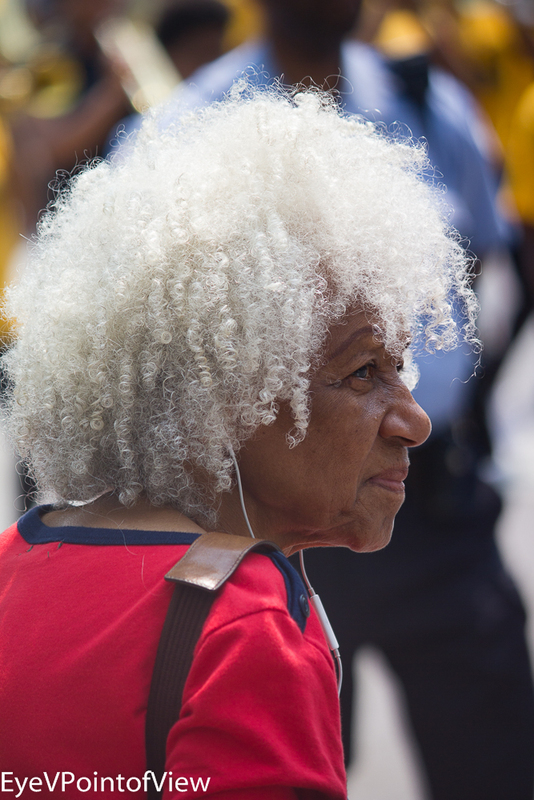 As in other communities across the US, Chicago‘s Hyde Park neighborhood celebrates the 4th of July with a neighborhood parade each year. This do-it-yourself event usually includes individuals and families, especially young children, community and school groups, as well as neighborhood businesses and their representatives. This year, I had a ringside seat to the festivities! And the parade itself was one of the better, more energetic ones I can remember. It was a beautiful day – with the kids, families, bands, dancers, etc., so I apologize upfront for the number of images – it was hard to pick only a few. Hope you enjoy this abundance of 5* images. 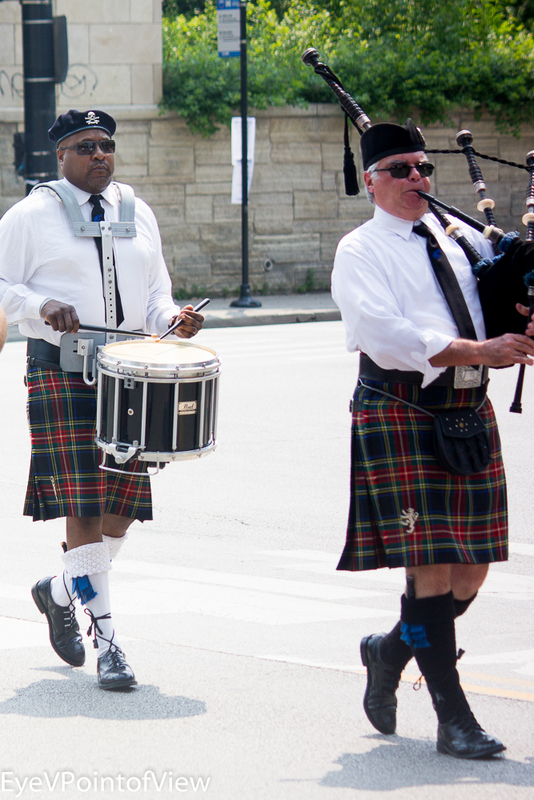 Kilts & Bagpipes – What struck me most was the image of a man of color in a kilt, which I typically don’t associate with men of African descent. No matter – they stand out with their distinguished look. 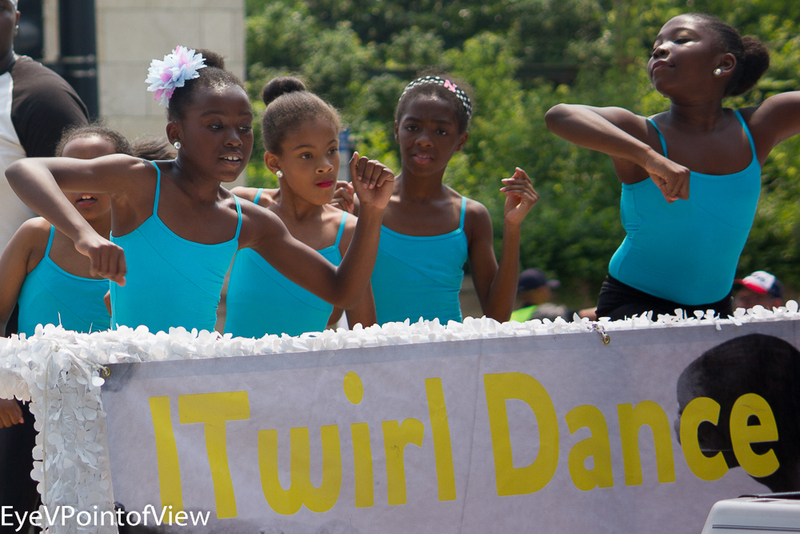 ITwirl Dancers – These girls were bringing it on! I love the movement and their energy. Look at the two girls in the front line – the one on the left has her eyes closed and head up. The other on the front left is giving it her all, with her muscular structure highlighted by her moves. 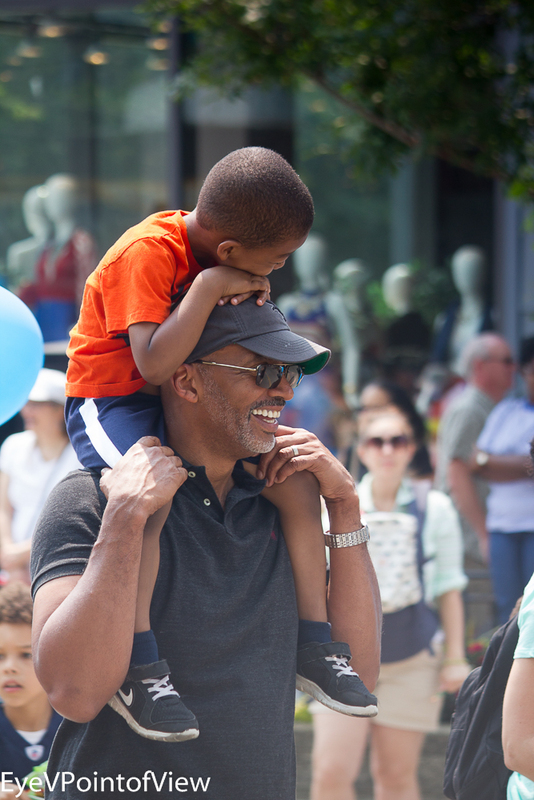 Family Time – One of the best parts of this parade is the opportunity it provides for family participation. Several men, carrying a child on their shoulders, walked with the groups, especially with schools. I loved this image of the child resting on his father’s head. 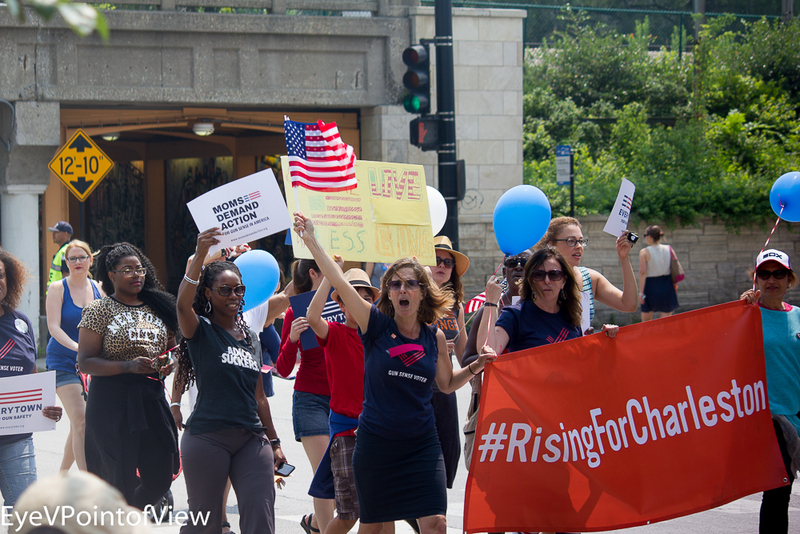 Moms Demand Action – This community group advocating fewer guns, more love, bringing peace to our neighborhoods. They exhorted the crowd with their message to stem the violence in cities across the US, raising the hashtag RisingForCharleston. Their intense feelings for their cause are clearly on display. Break That Board! 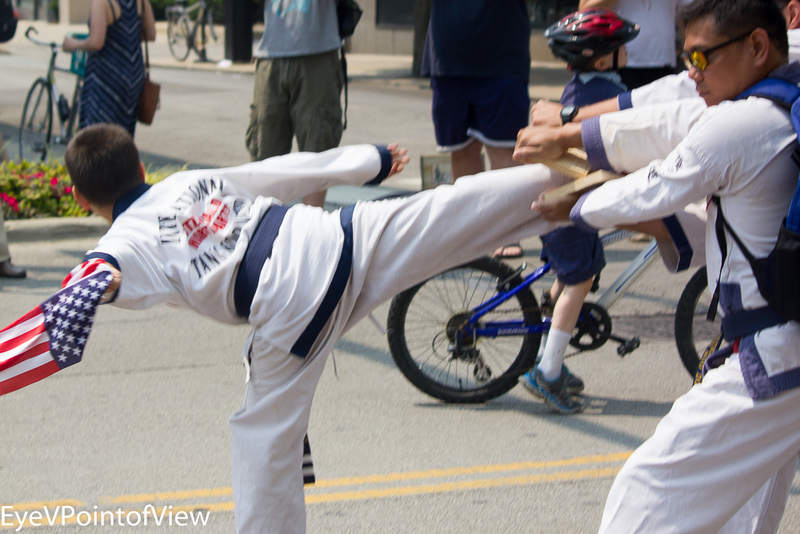 – There were two martial arts studios in the parade, Woori Taekwondo and Hapkido Academy and Fitzgerald Martial Arts – both had kids demonstrating kicks and punches. This student from Fitzgerald’s executes a strong kick, showcases his sidekick from, and broke the board held by the instructor. 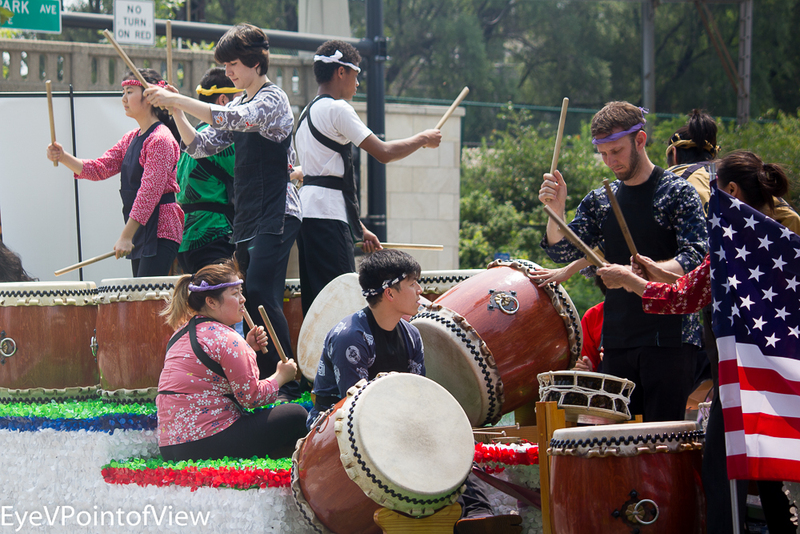 Amazing Beats – These drummers were amazing – their beats reverberated down the street and energized the crowd, as well as the groups before and after them. 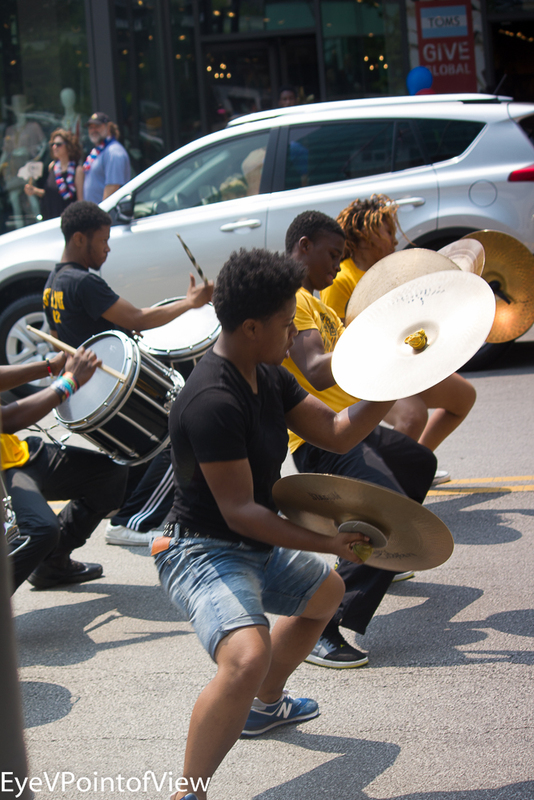 The cymbals players dropped down, and clanged their instrument, again energizing the crowd. Snow White – She was a strikingly beautiful woman anyway, but her snowy made her stand out in the crowd. I loved her expressive face. 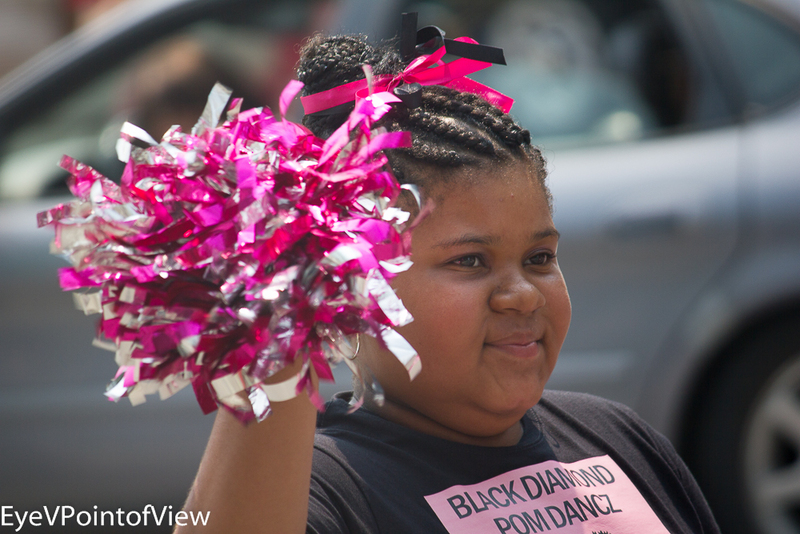 Black Diamond – This time a pom-pom group, the Black Diamond Pom Dancz team caught my attention. Nice formation, beautiful form, beautiful girls; loved the colors. 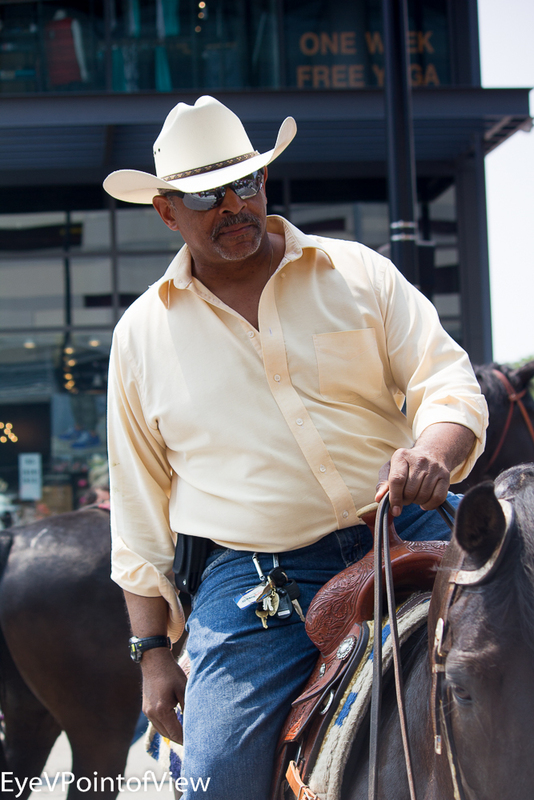 Distinguished Horseman – He was part of a group of black cowboys (despite the name, both men and women participated) who has been in this parade several times over the years. I loved his stance on the horse. This year’s 4th of July parade was fabulous – not just me, but others sitting around me said this. I hope these 5* images show you why we felt that way. Oh what fun! 🙂 Loved the parade – love the pictures. Thanx so much for the feedback.